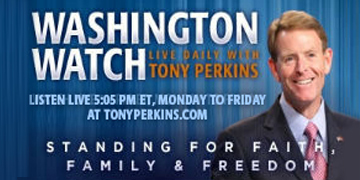 On Monday’s edition of "Washington Watch with Tony Perkins" USCIRF Vice Chairwoman Kristina Arriaga joins Tony, a fellow USCIRF Commissioner, to discuss a study taken by the commission finding Saudi textbooks advocating for violence. Founder and President of the Foundation for Defense of Democracies, Clifford May, is here with an update on the situation of Asia Bibi, a Pakistani Christian woman who was recently cleared of blasphemy charges that had her on death row, and to share his thoughts on what could be done to ensure her safety. Also, Former Housing and Urban Development Undersecretary and US Ambassador to the UN Human Rights Commission under President George H.W. Bush, and FRC's Senior Fellow for Human Rights and Constitutional Governance, Ken Blackwell joins Tony to pay tribute to the 41st president of the United States -- George H.W. Bush, who passed away over the weekend.